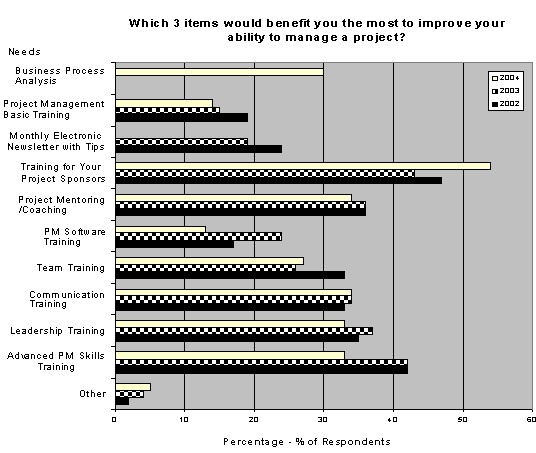 Business Improvement Architect’s research survey of eighty-one Business Analysts attending Project World/Business Analyst World 2004 in Toronto, Canada, identified that ‘Business Requirements Not Well-Managed’ and ‘Lack of Clarity in the Scope of the Business Functions’ are the top two challenges facing their organizations in managing business requirements. These challenges were mentioned respectively forty-nine percent (49%) and forty-eight percent (48%) of the time by respondents. 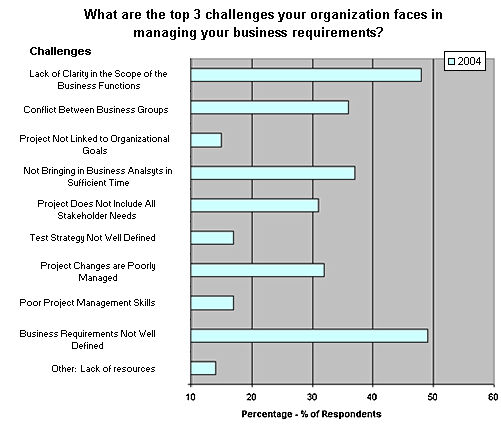 The bia™ research provides a snapshot of the issues facing organizations in the management of business requirements. 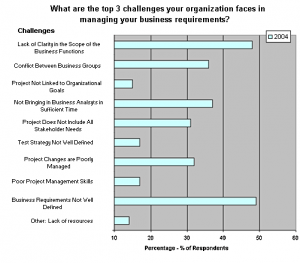 The next top challenges were ‘Not Bringing in Business Analysts in Sufficient Time’ (37%) and ‘Conflict Between Business Groups’ (36%). 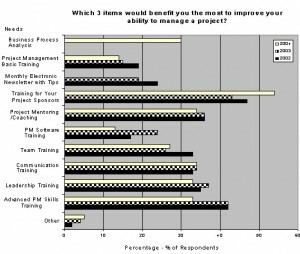 When asked what they felt would improve their ability to manage customer requirements, survey respondents identified ‘Business Requirements Well-Documented’ most often (53%) followed by ‘Having a Good Process to Determine Customer Requirements’ (51%).